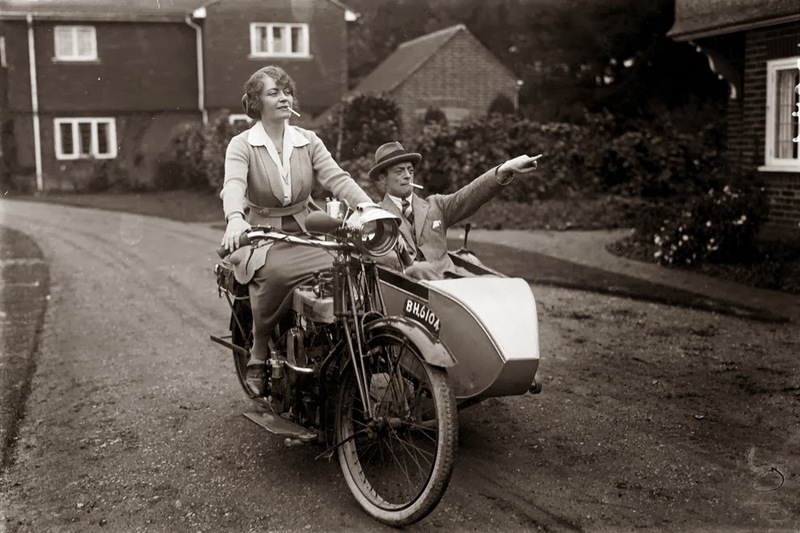 Madge Saunders and her husband, British comic actor Leslie Henson, 1920. 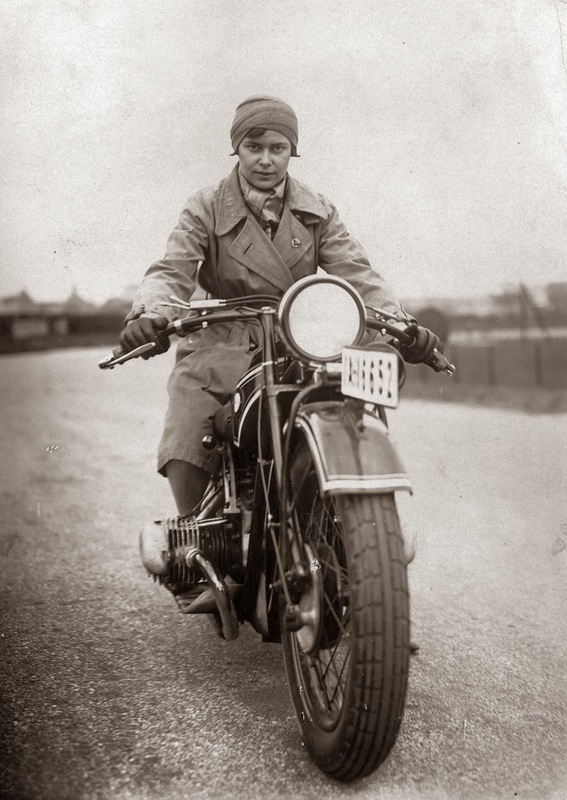 A woman on her BMW motorcycle, 1935. 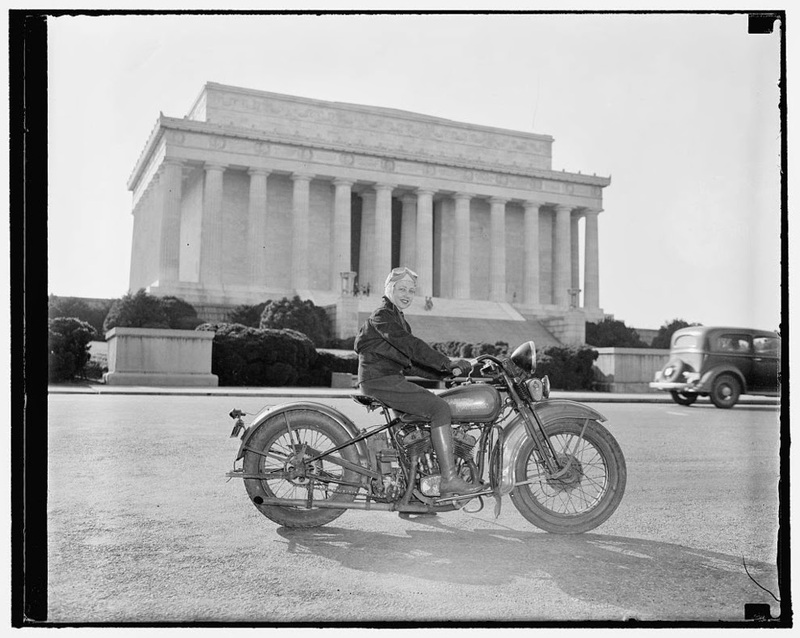 Sally Halterman, the first woman to be granted a license to operate a motorcycle in the District of Columbia, 1937. 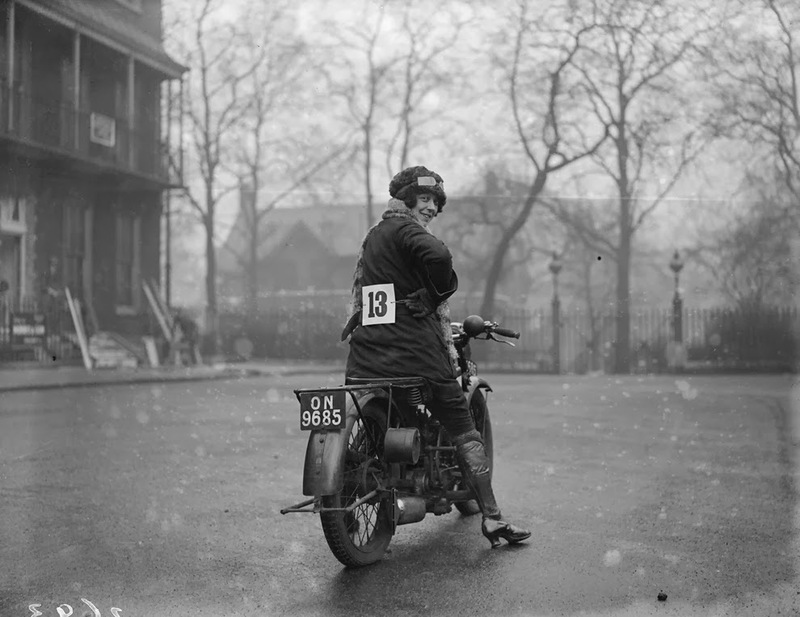 An entrant in a ladies-only reliability trial in London, England, 1927. 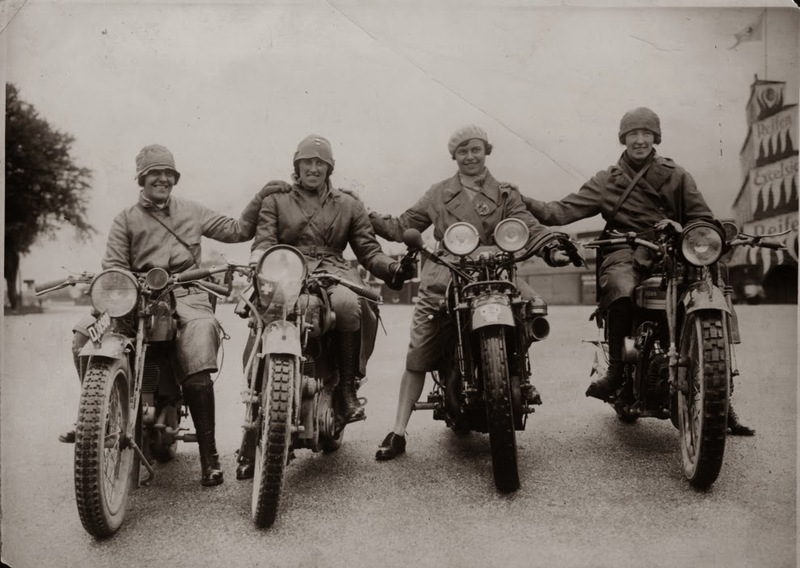 Marjorie Cottle (second from left), a famous motorcyclist, and friends in Germany, 1920. 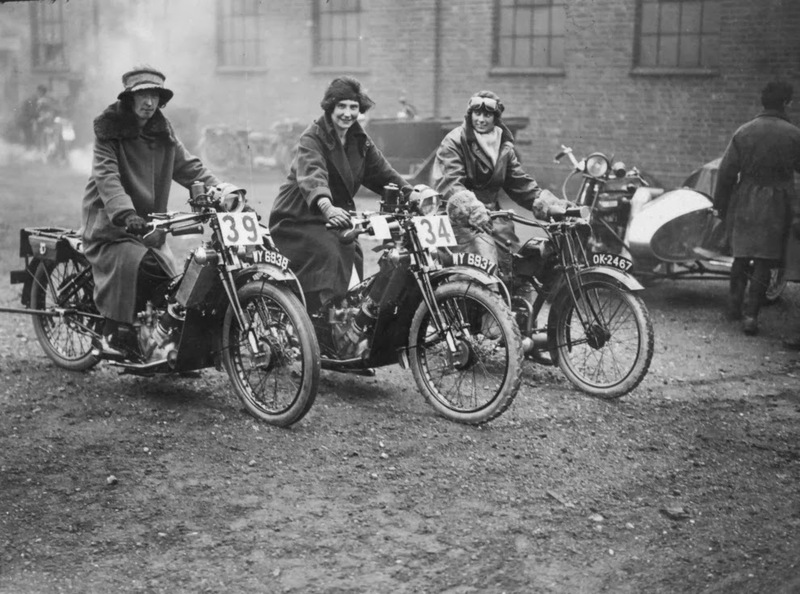 Three women riding motorbikes at the ACU Trials in Birmingham, England, 1923. 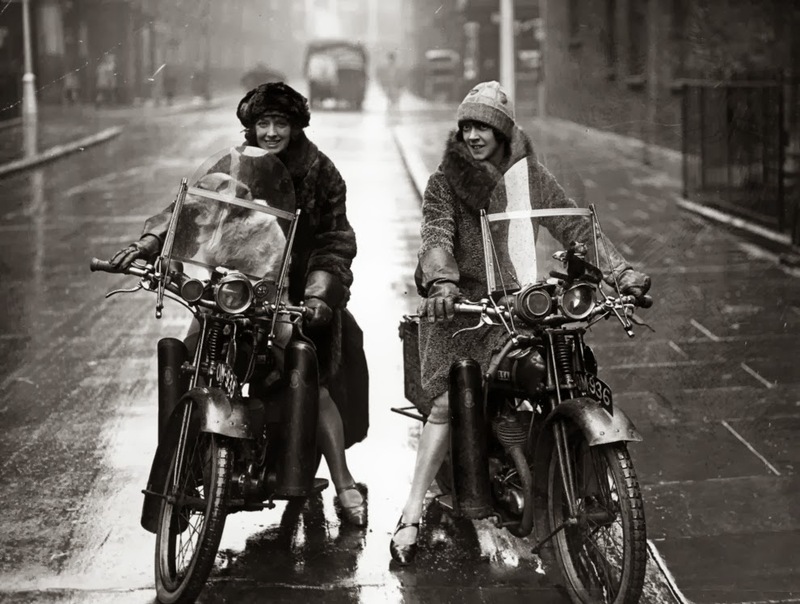 A woman riding a motorcycle alongside a woman on a horse in London, 1921. 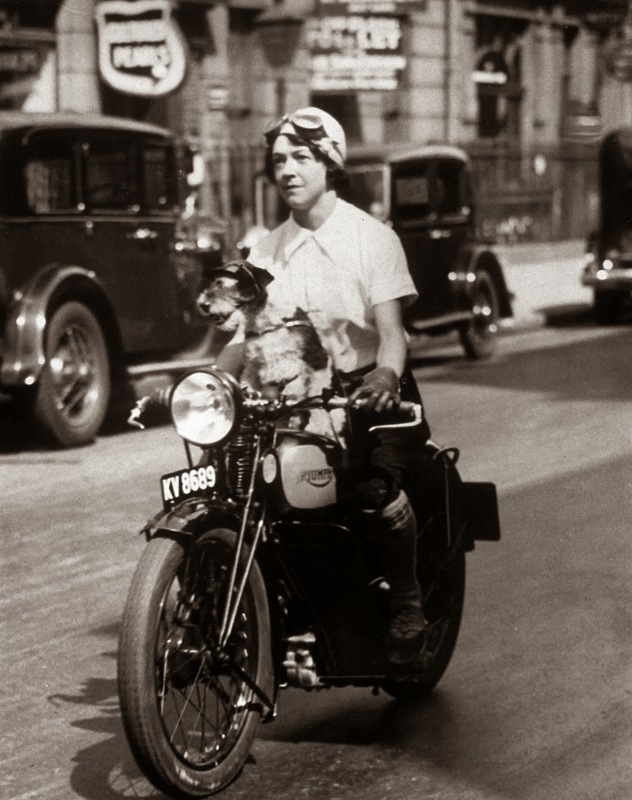 Nancy and Betty Debenham, well-known motorcyclists, riding BSA bikes with their dog, 1925. 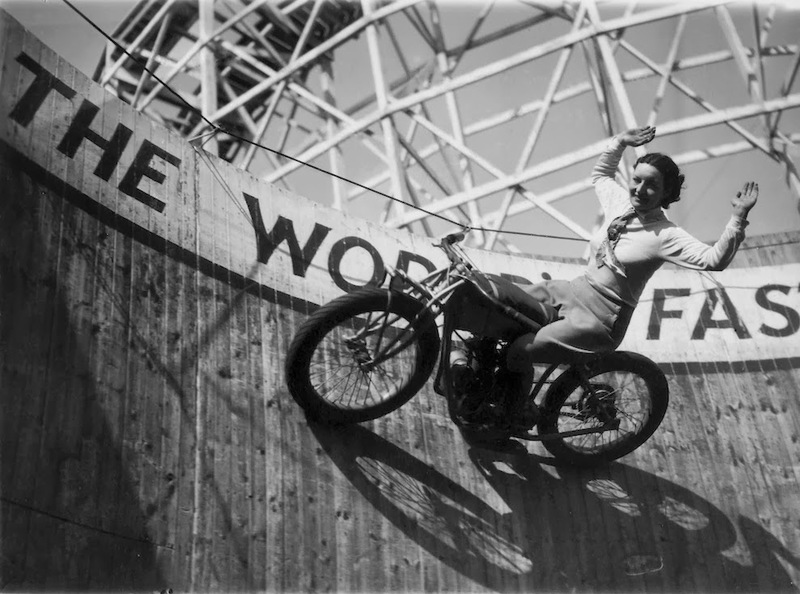 Marjorie Dare (Doris Smith) riding hands free around “The Wall of Death” sideshow at the Kursaal amusement park in Essex, England, 1938. 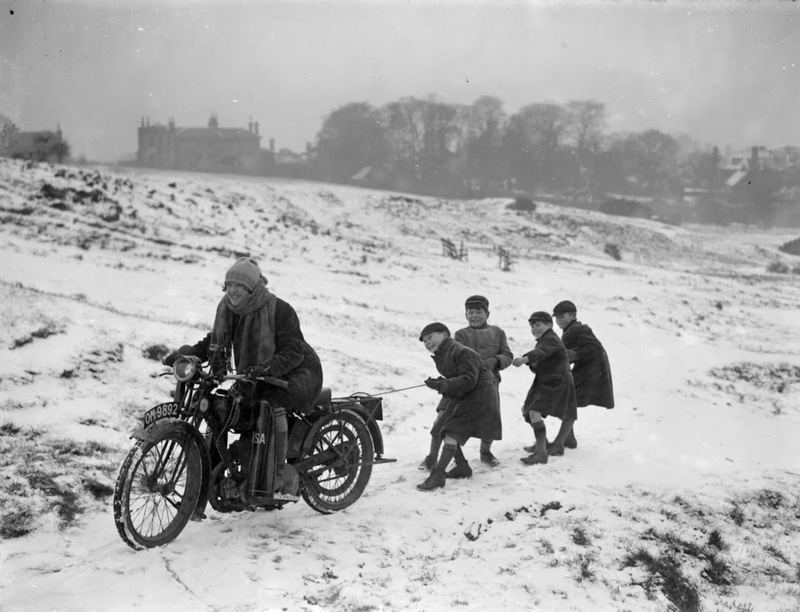 Children being pulled along by a woman on a motorbike in London, 1926. 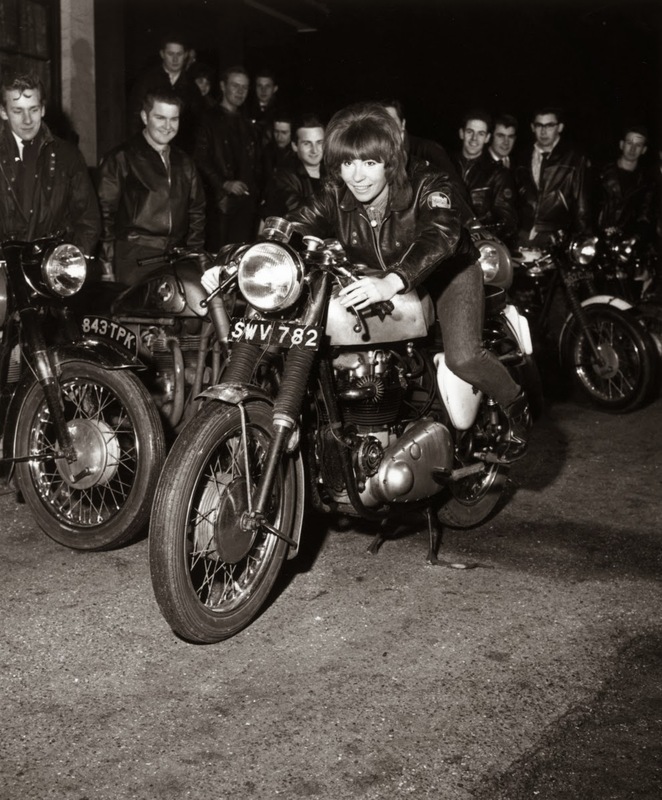 The Riverhill Riders Club, 1962. 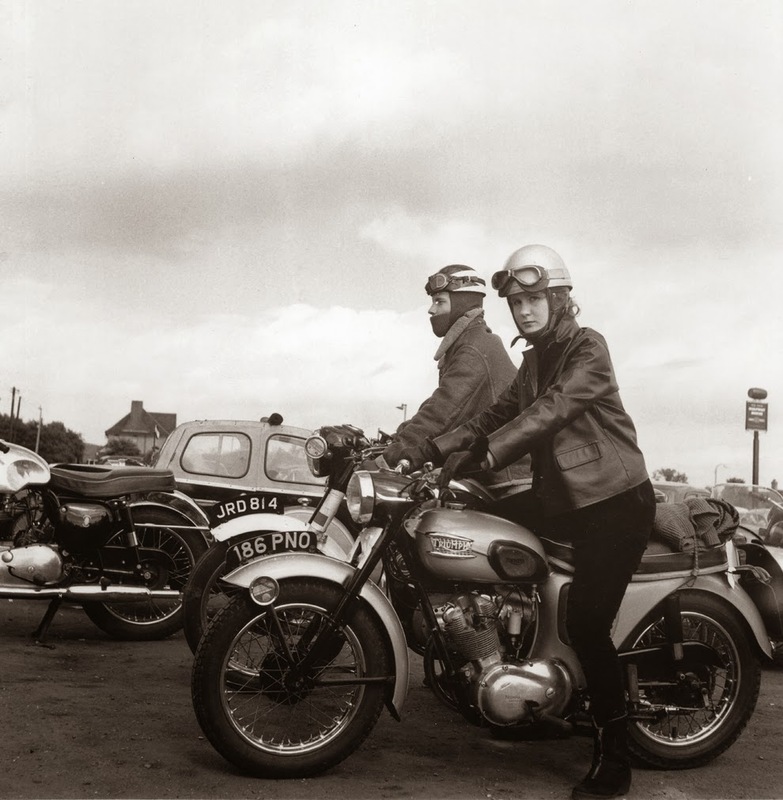 A woman riding a Triumph Tiger Cub motorbike, 1960. 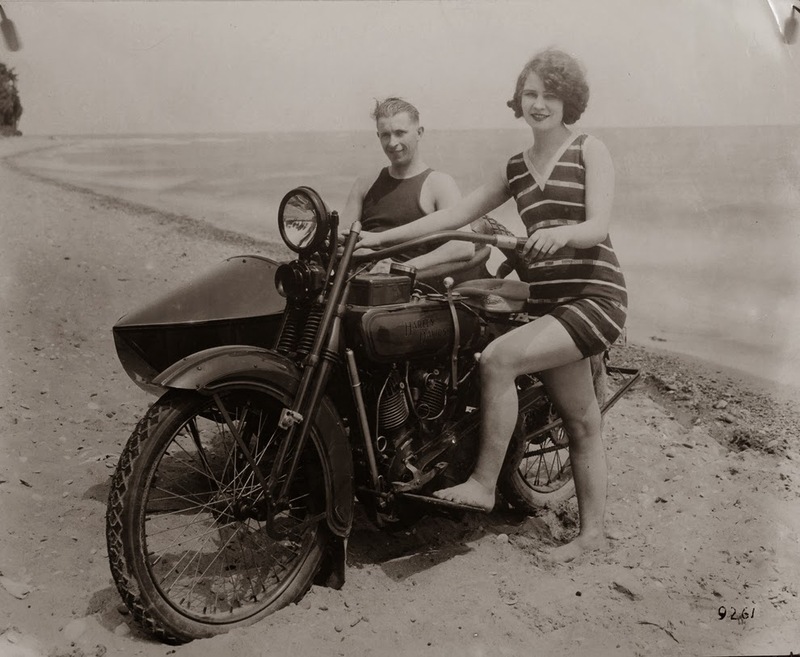 A woman alongside her Harley-Davidson in California, 1925. 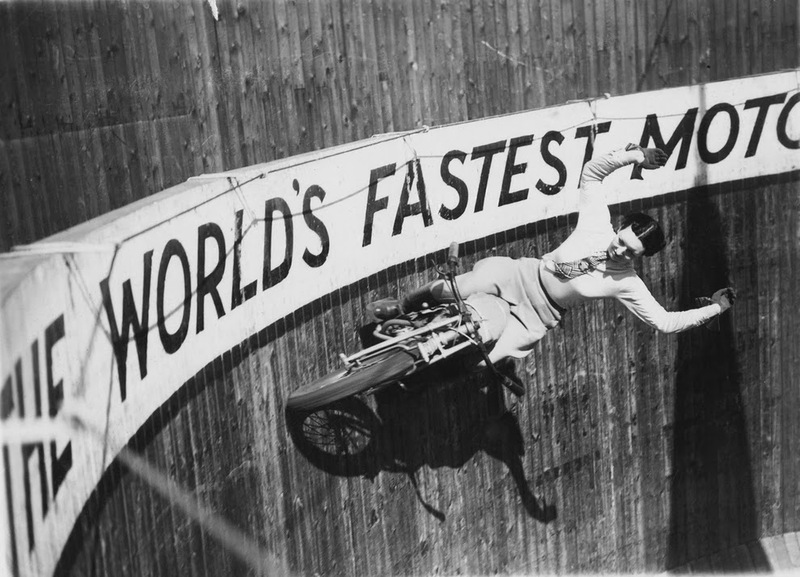 A woman and a performing seal at a circus, 1935. 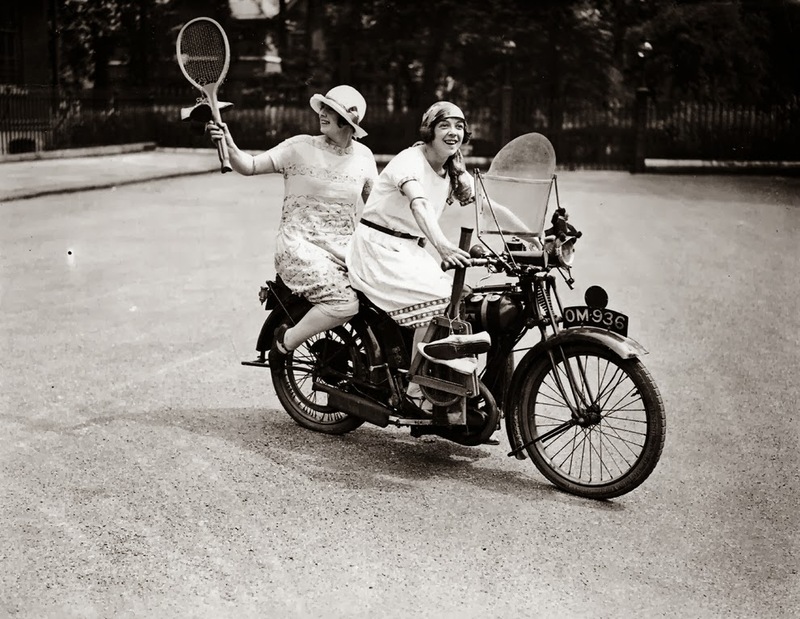 Two women ready to play tennis on a BSA motorbike, 1925. 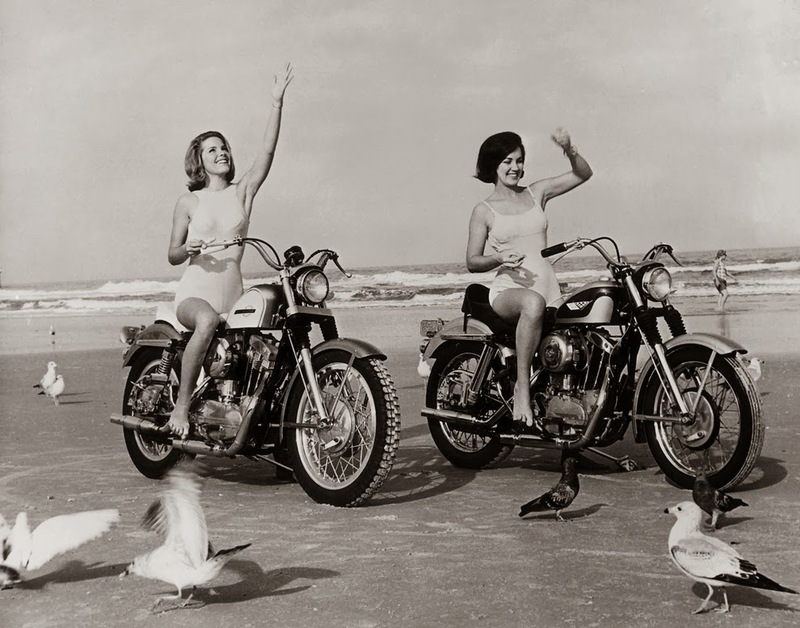 Women feeding seagulls on motorcycles in Daytona, Fla., 1968. 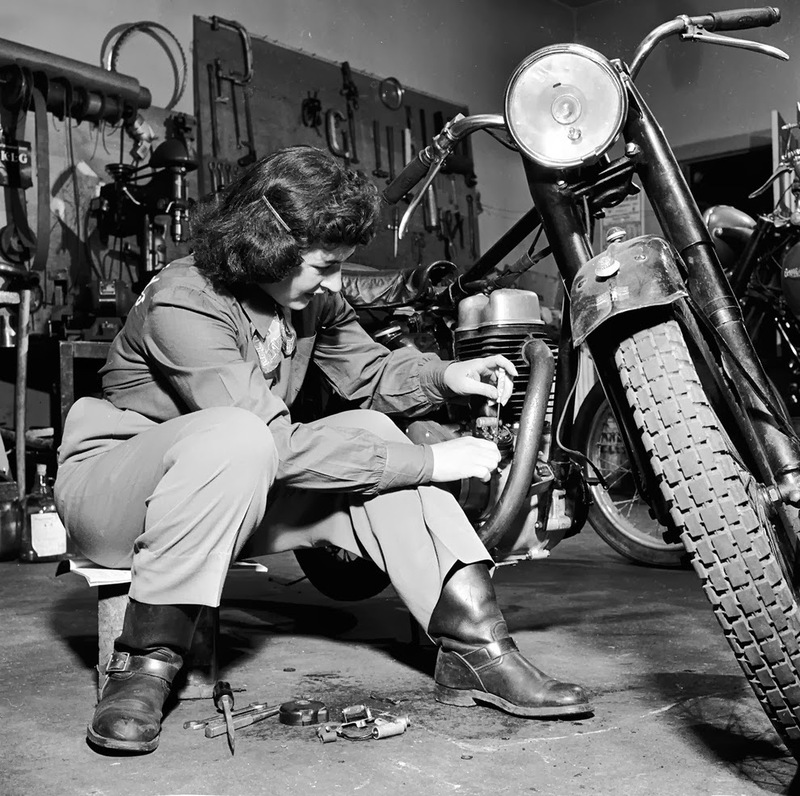 A woman repairing her motorbike inside a workshop, 1950. 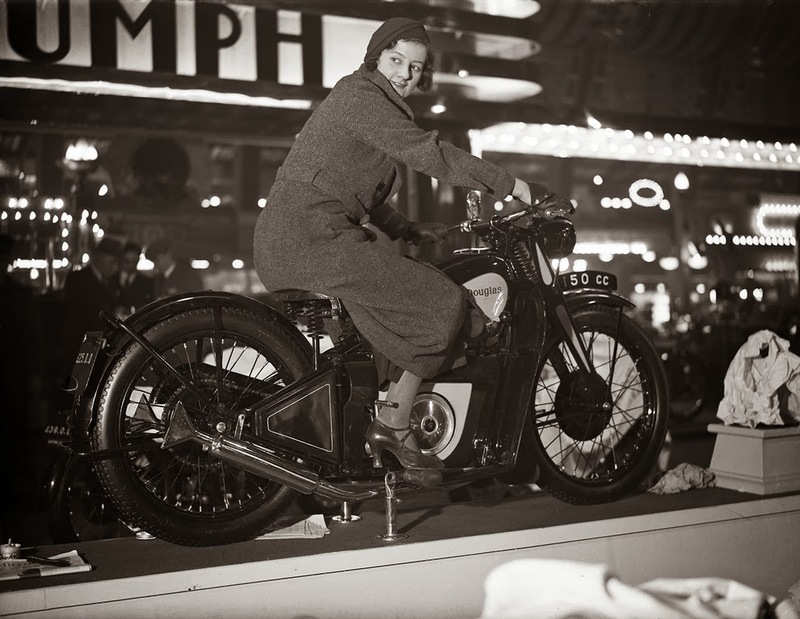 A woman trying out a Douglas motorcycle on display at the 18th Cycle and Motorcycle Show in London, 1933. 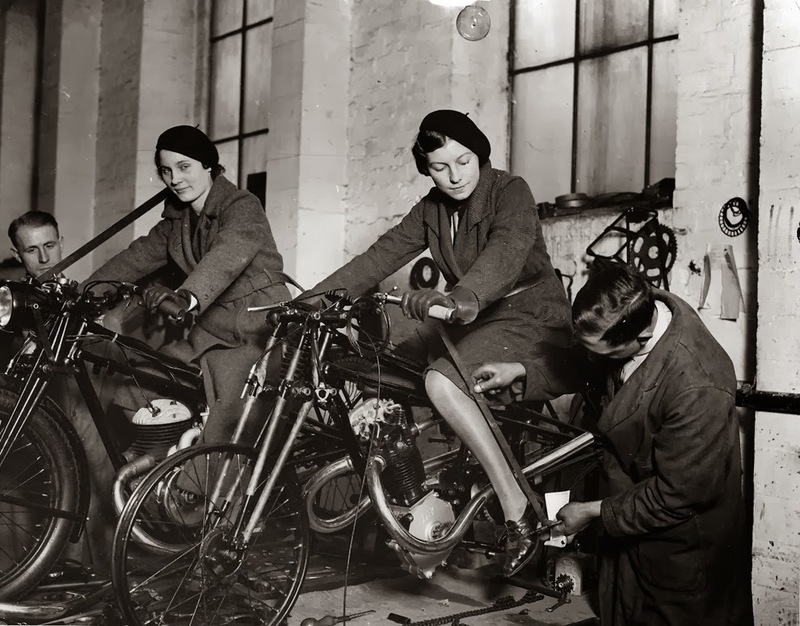 Workers measuring the positions of footrests and controls on partially finished motorcycles, 1933. 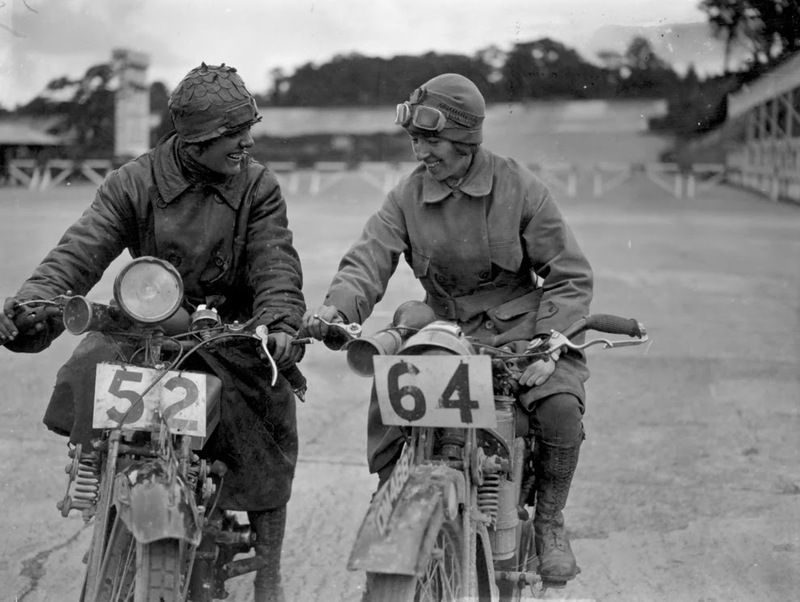 Miss E. Foley and Miss L. Ball, entrants in the International Six Days Reliability Trials, at Brooklands race track in England, 1925. 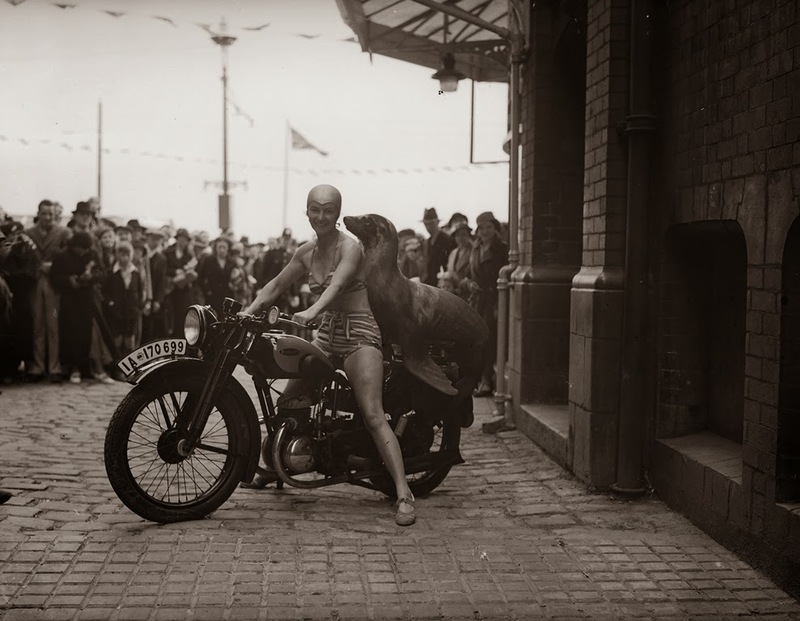 Nancy setting off for a motorcycle rally in England, 1934. 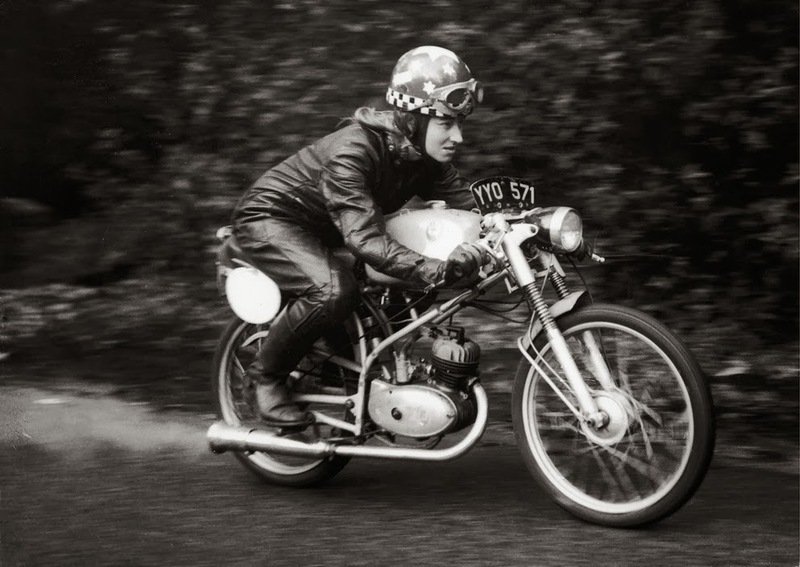 Beryl Swain training for the annual TT race, 1962. 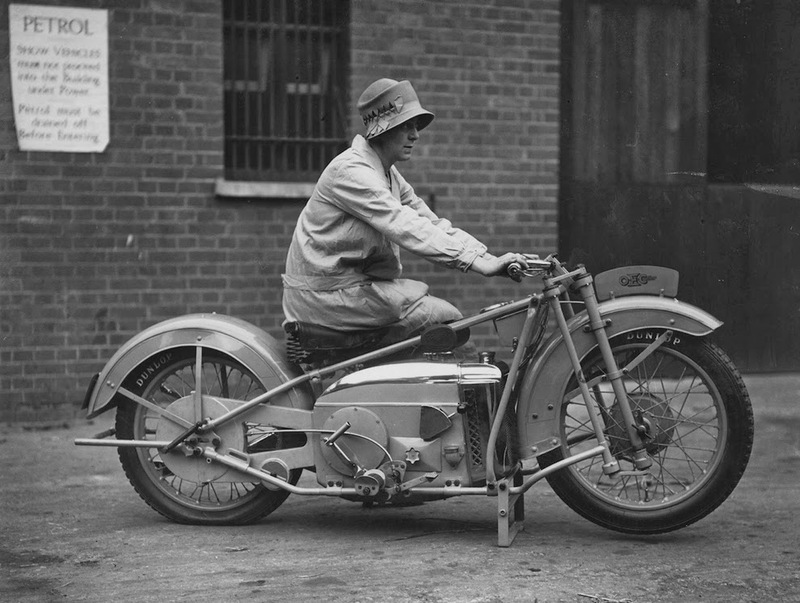 A woman on a 500 OEC Tinkler All-Weather Model designed for use on rough roads and cross-country, 1928. 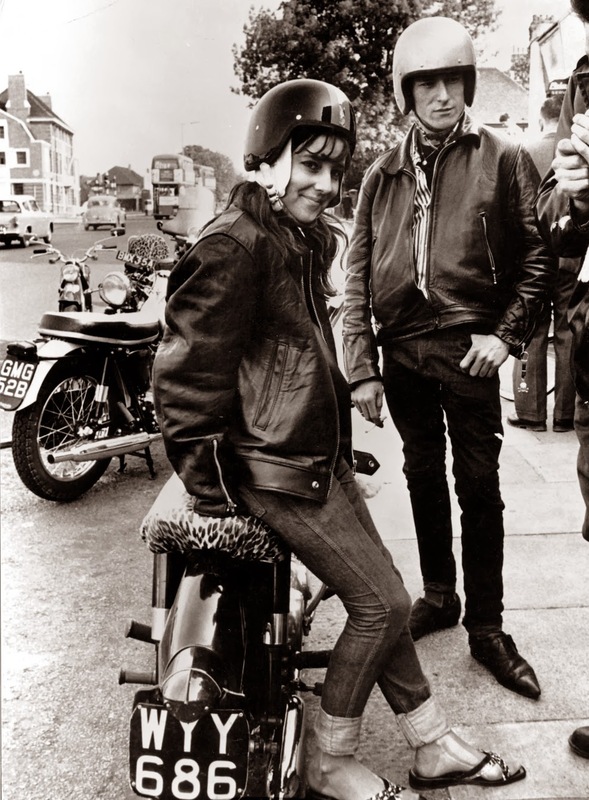 Outside a motorcycle shop, 1964. 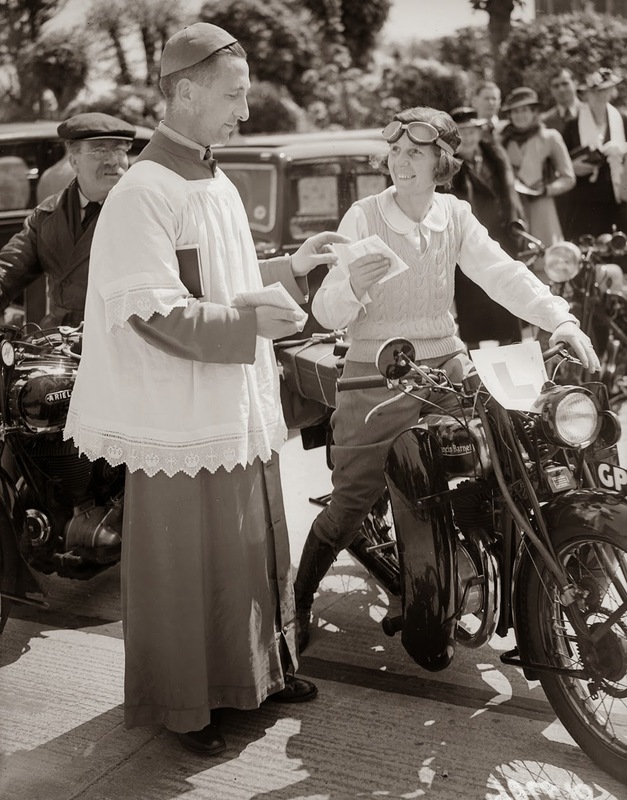 A reverend blesses the motorcycle of a woman who is learning to drive, 1938. 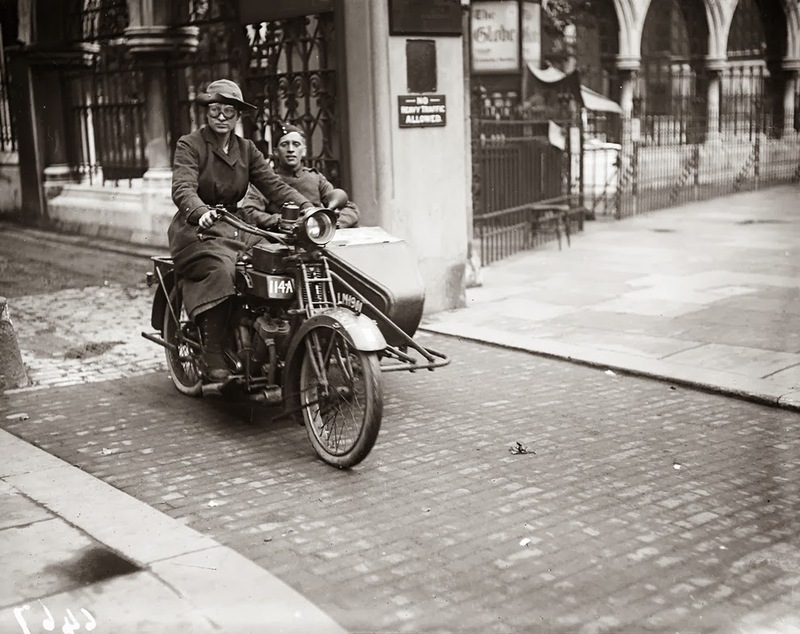 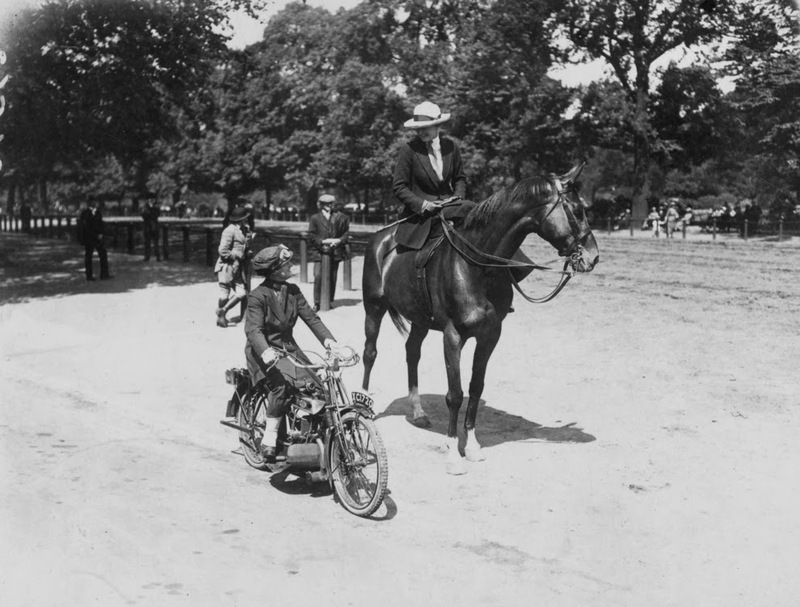 A woman dispatch rider with a male friend in tow during World War I, 1917. 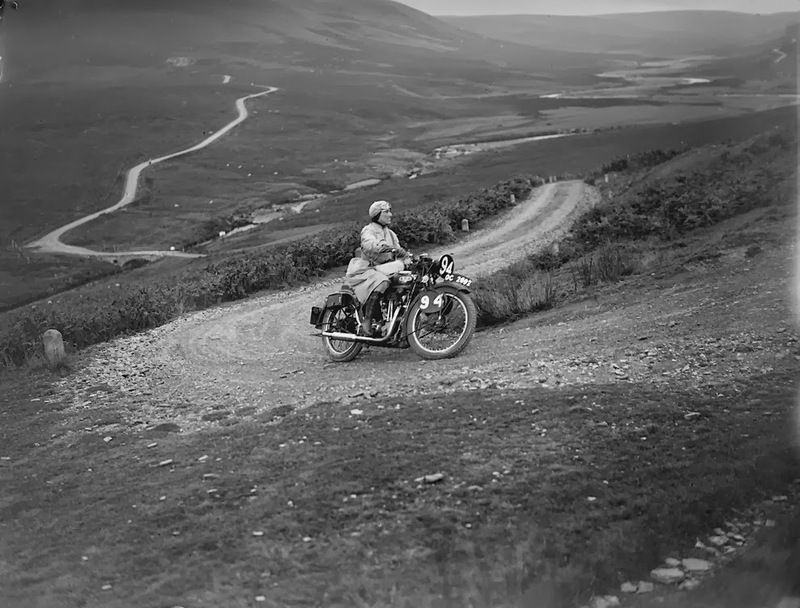 A woman rider in the Six Days Motorcycle Trial, in which competitors have to cover 200 miles a day over rough terrain, 1933. 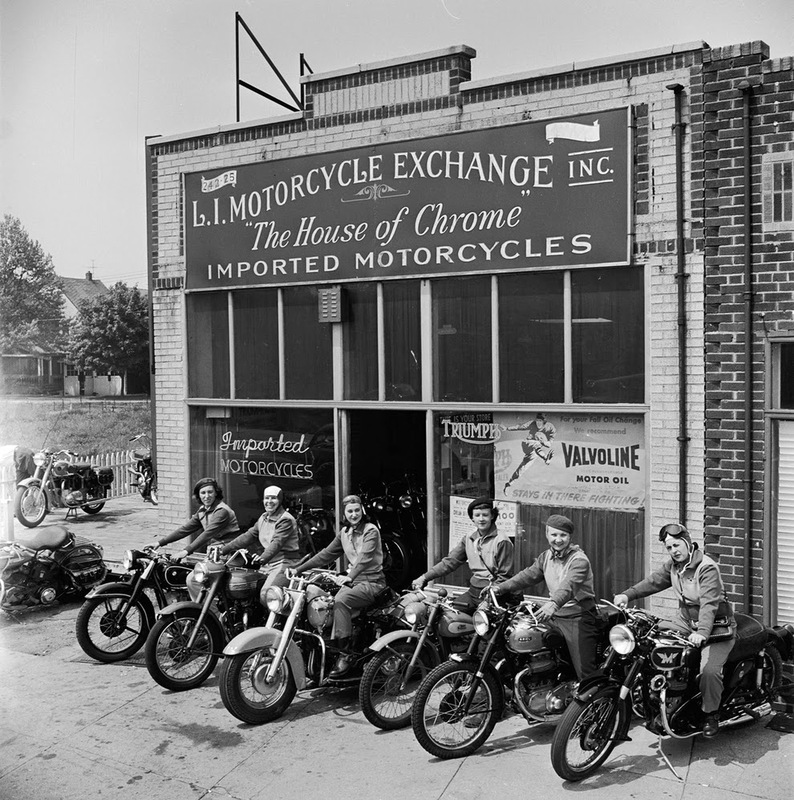 The Motor Maids of America outside the shop they used as their headquarters, 1950. 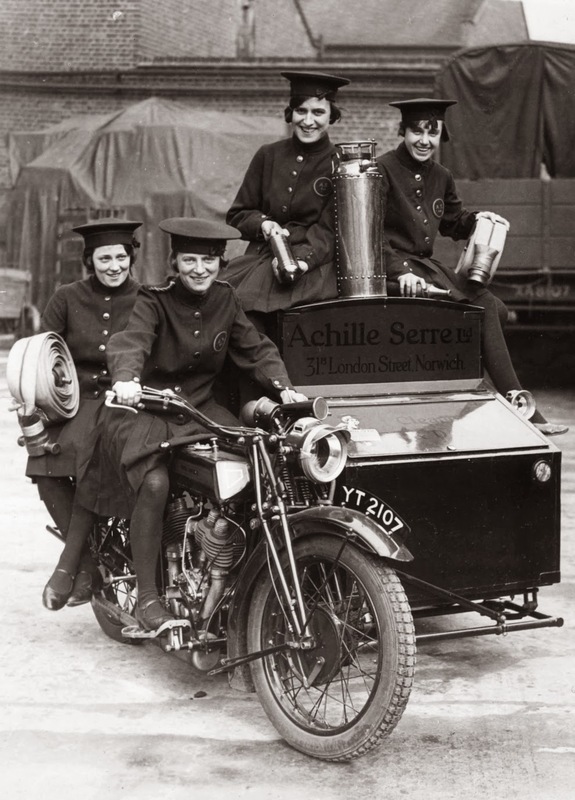 Women of Achille Serre Ltd’s Private Fire Brigade setting off on their motorcycle and sidecar to compete in the London Private Fire Brigades’ Tournament, 1925. 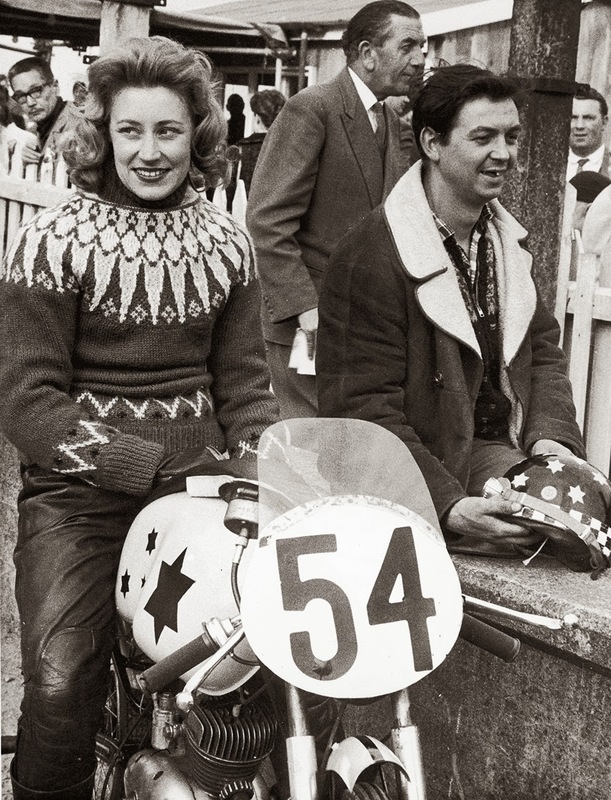 Beryl Swain, the first woman to compete as a solo entrant in the annual TT race on the Isle of Man, on her 50cc motorbike, 1962. 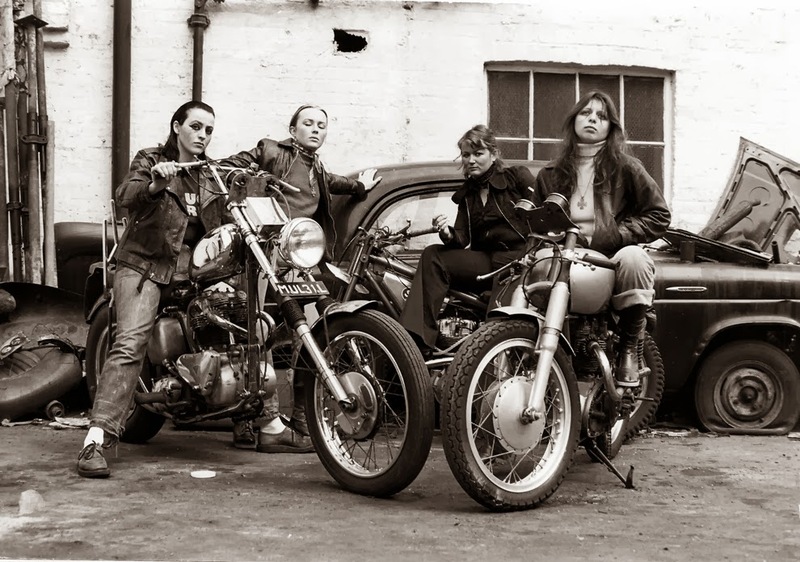 A group of women associated with the Hells Angels, 1973.